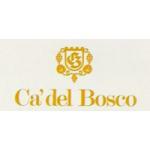 The cellar of Ca 'del Bosco, surrounded by green vineyards and woods, is an ideal travel in enology: stone, steel, wood, glass. The "core technology" of the beats with passion and precision, artfully lit and framed by the intense green of the park. The architecture blends harmoniously amongst the hills of Franciacorta. Shapes and colors are inspired by the shades of the forest: a wave gray-green reminiscent of the line of the hill and the trend of vineyard. Everything is designed to accommodate the rhythms of nature and transform the precious fruits in fine wines. Freshly harvested in the appropriate boxes, and classified according to the arrival in the vineyard of origin, the grapes are cooled in special cells. Only clusters that have passed the stringent selection come to the crushing: the experience of Ca 'del Bosco has given rise to a unique technique that allows the total wine production in the absence of oxygen and handling of wines without flapping. A couple of tanks "flying" allows the transfer of musts and wines by gravity, thanks to the principle of communicating vessels. Long underground cellars in stone, with temperature and humidity are constantly monitored, cradling the wine aging in small oak barrels.Controlled atmosphere environments, innovative bottling lines, plugs checked one by one by an optical reader and machines designed and manufactured by Ca 'del Bosco guarantee in every bottle wine more healthy and long life. At this point begins the period of aging: will the passage of time and the quiet love of vintners do the rest. It is the nature decides. She is to point the way to transform the wine into art. But it is the man, with his knowledge, to meeting the proceeding. The Method Ca 'del Bosco is unmatched. 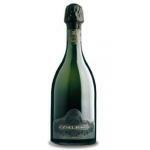 Personal idea, and perhaps utopian crowds of Franciacorta Method. "Tradition" does not mean lie down in a sterile worship of the past, but rather to combine naturalness innovation and quality: aspiring to the creation of the noble wine, that celebrates the grape and terroir. The grapes are freshly harvested in the appropriate boxes, are classified and cooled. Each cluster is selected by expert eyes, and then benefit from exclusive "spa of the berries." An exclusive wash tub and the bunches, by means of three soaking tubs. More grapes are clean, most wines will be pure.After pressing in the absence of oxygen, the juice is fermented in small oak casks or in vats. A couple of tanks flying facilitates the transfer of musts and wines by gravity. Every detail is crucial. Controlled atmosphere environments, technologies and tools for cutting-edge research, innovative design. Wise use of wood. Long aging on the lees, plugs checked with care. 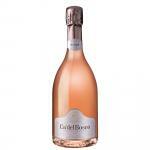 Bottling and disgorgement personally designed by Ca 'del Bosco, to prevent oxidative shock. Marking unique to each bottle to ensure traceability. Extensive underground cellars in stone. And the love of the cellar. 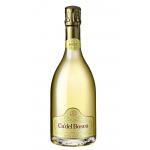 It 's so that the wines of Ca' del Bosco. More elegant, healthier, longer lives. More natural.